A few months ago, Spectrasonics teased a major update for their Omnisphere soft synth and we were able to see it in action at Superbooth 2018. Today, Eric Piersing and his team released the new version 2.5, and Omnisphere Omnisphere becomes the first software synth in the world to offer a Hardware Synth Integration feature, which transforms over 30 well-known hardware synthesizers into extensive hands-on controllers that unlock Omnisphere’s newly expanded synthesis capabilities. 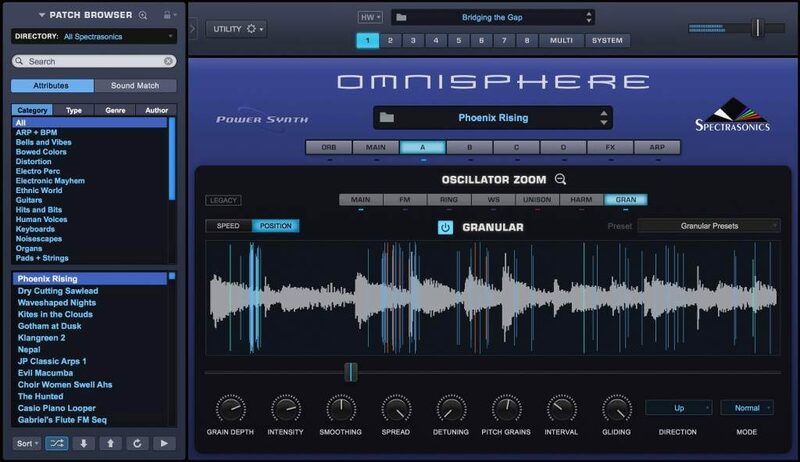 Simply put, this ground-breaking new feature makes using Omnisphere feel just like using a hardware synth! 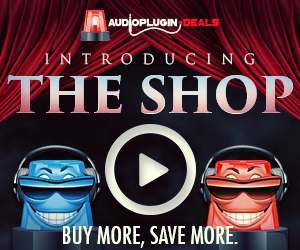 The extensive new FREE update also features a newly announced hi-resolution interface, support for Windows Multitouch, new Granular Synthesis capabilities and a stunning new sound library of over 1000 brand new sounds, bringing the total number of included sounds to over 14,000. This remarkable innovation bridges the physical experience gap between software and hardware, giving users intuitive control of Omnisphere by using the familiar layout of their supported hardware synth. The initial release officially supports over 30 popular hardware synthesizers from Moog®, Dave Smith Instruments®, Roland®, Korg®, Novation®, Nord, Access, Studiologic, Sequential® and more to come. 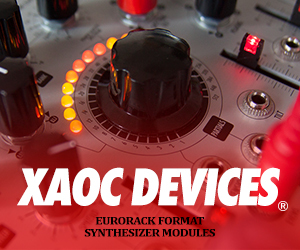 The supported hardware synths cover a wide range of types and price ranges for different types of users. On the technical side, the new Hardware Synth Integration feature in version 2.5 goes far beyond the typical “MIDI Learn” approaches that most software synthesizers employ. Under the hood, the Spectrasonics development team has carefully designed unique “Hardware Profiles” for each supported hardware synthesizer, making the special features of that synthesizer work seamlessly with Omnisphere by translating MIDI messages from the hardware into satisfying sonic results in Omnisphere. This new system allows Spectrasonics to enable sophisticated interactions from a single touch of a knob, including the ability for Omnisphere to automatically switch interface pages, recall entire FX racks, assign multiple scaled parameters and even instantly create complex modulation matrix routings on-the-fly! The new development system also allows Spectrasonics to add new profiles for new hardware synths in the future. Most importantly, it’s easy for musicians to use – simply select the hardware synth from the drop-down HW menu and Omnisphere is now linked to that hardware synth! 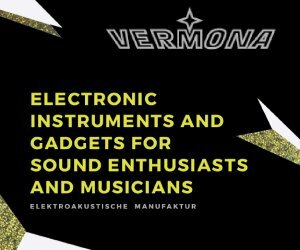 To see the full list of supported synths (hint: it’s long and full of Moog, Dave Smith, Roland, Clavia and Korg models), check out this page. The new version 2.5 vastly expands the synthesis capabilities of Omnisphere by doubling its voice architecture to Four Layers per patch! Each patch can now utilize up to 12 envelopes, 8 LFOs and the Modulation Matrix has been doubled to 48 modulation routings. Newly designed State Variable Filters are included, which were specially created for the OB-6 hardware profile and can seamlessly blend between lowpass, notch and hipass filter modes. Over 100 New DSP Oscillator Wavetables based on the supported hardware are included and featured in the new hardware profiles. Omnisphere 2.5 includes a stunning new “Hardware Library” with over 1,000 new patches created by Eric Persing and the renowned Spectrasonics Sound Development team. Each hardware profile has a corresponding set of sounds in the Hardware Library which were specially designed using that hardware synth as an Omnisphere controller. These inspiring new sounds feature a wide range of categories and many have a distinctly ‘classic analog’ flavor! Best of all, the new sounds are available for ALL users, regardless of using the hardware or not! Omnisphere 2.5 features a newly designed graphic user interface, which includes Retina/hi res graphics for 4K monitors. The new interface has been given an aesthetic refresh for a cleaner, more modern look and features larger controls. The new GUI is now easier to use and scalable to fit comfortably into your workspace. The Live Mode page has also been redesigned to show much more relevant information onstage at a single glance. The Granular page of Omnisphere 2.5 now sports a full waveform display and a clearer view of what each of the grains are doing at any moment. This new layout makes it far more intuitive to grasp how Omnisphere’s powerful Granular Synthesis engine is working on the audio source. Spectrasonics is proud to announce that version 2.5 of Omnisphere is now fully supporting Windows X Multitouch computers and tablets. This means that the new Live Mode page can function as a fully functional stage interface when used fullscreen on a Windows computer. Omnisphere 2.5 is available now as a FREE update for all registered Omnisphere 2 users! Current Omnisphere 2.4 users: Simply use the “Get Updates” feature on Omnisphere’s splash page! 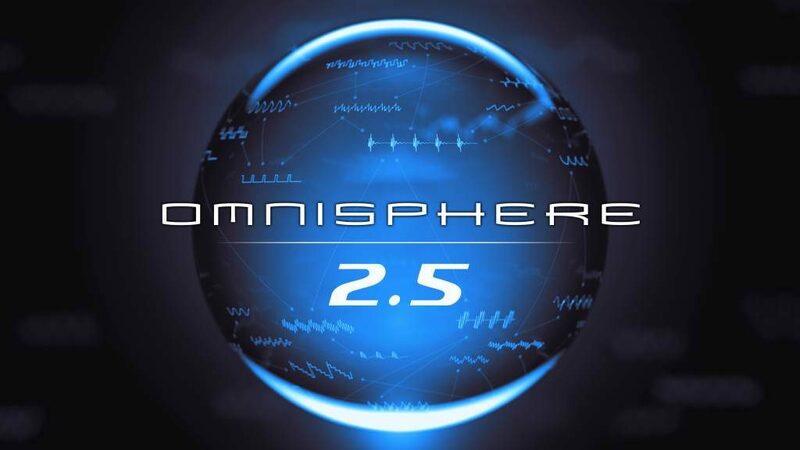 Earlier Omnisphere 2 users: Download and install the 2.5 updates from your User Account. Omnisphere 1 users: You can upgrade to v2.5 directly for the same standard upgrade price! 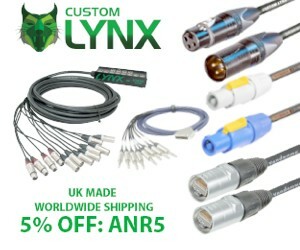 Visit www.spectrasonics.net for more details.